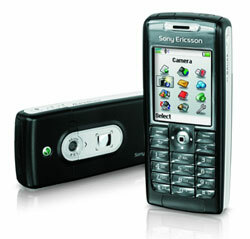 Sony Ericsson announced that its T610 replacement will come in black (pictured at right) and will be sold by T-Mobile. The T630 has all the features of the T610, an improved screen and a few more items including a redesigned case. Before today, all T630's were white. The phone should be seen in Europe's T-Mobile markets by next month. No word on T-Mobile USA picking up this model, but it seems likely. * Bluetooth * QuickShare to send pictures with just 2 clicks * V-Rally2 built in (popular game) * Music DJ function, a 4-track sequencer with which bass lines, drumbeats and chords can be mixed in just a few seconds Pricing has not been announced. It retails for around $500 US before carrier subsidies.